Celebrate the most romantic time of the year with Legacy of Discord! The highly popular mobile action RPG has prepared a brand new game update just in time for Valentine’s Day this February! Come dress for love in beautiful new outfits and earn tons of rewards by exchanging Chocolate and gifting roses to your friends and loved ones! 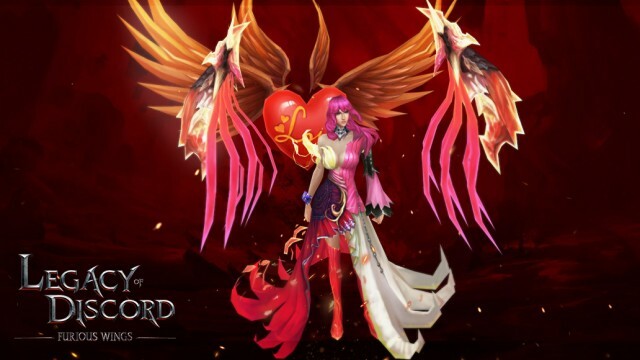 Love is in the air and the developers of Legacy of Discord have brought Valentine’s outfits and the Wrathwing Valentus to the citizens of Celestial City! 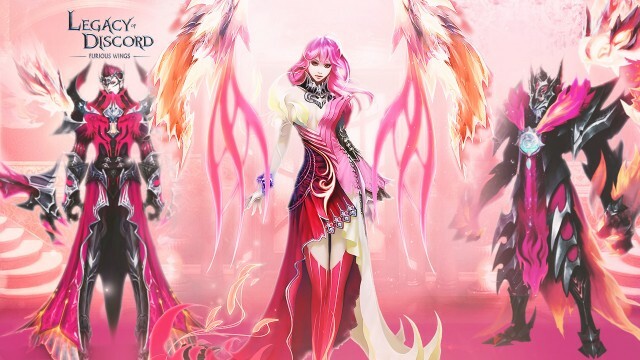 Phoenix Queen, Flame Keeper, and Spirit Beast are special Valentine’s costumes designed for the Sorceress, Bladedancer, and Berserker, respectively. These can be obtained at great discounts during the event. 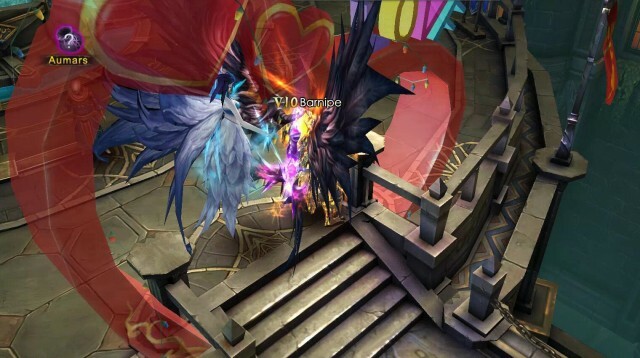 During the coming Valentine event, players can get Chocolate by blitzing dungeons and redeem them for Ref.Stones, Gold, Pet vouchers, Wrathwings vouchers and other valuable game resources. Want to know who is the heartbreaker amongst your friends? Would you like to show gratitude and appreciation to your guildmates? Now is your chance with the Valentine’s Rose Gifting Event! During the event, special Valentine’s Roses can be obtained by check-in and gifted to other players. The number of roses you can give each day is limited, so players will have to carefully decide which friends to send their roses to. Rewards can be earned by giving roses and players will be ranked according to the number of roses they receive. At the end of the event, the new Wrathwing Valentus will be rewarded as a grand prize! The higher your rankings, the better the award. In addition, players involved in the rose gifting event have the opportunity to obtain a permanent and exclusive Valentine's Day title: Heartseeker!